The mission of the PRAC is to improve teaching practice and use of evidence based educational interventions that result in improved outcomes for students with Autism Spectrum Disorder. The mission of the Practical Research Autism Centre (PRAC) is to improve teaching practice and educational interventions for students with Autism Spectrum Disorder. The work of PRAC is oriented by a theory-to-practice model where research informs practice using measurable standards. PRAC aims to provide world-class practical research in autism education. The Autism Teaching Institute (ATI) was established by Western Autistic School in 2005 to deliver specialist teacher training in the area of students with ASD with the brief to create systemic change. This occurred in response to a perceived need for specifically trained professionals in this area of great need. The ISBER was a collaboration between the Department of Education and Early Childhood (DEECD), Autism Victoria, and Autism Teaching Institute. Deakin University's Associate Professor Mark Stokes was the Principal Researcher for this unique collaborative research initiative. The ISBER is based on the Autism Speaks Education Research Initiative. Following research in London schools, Autism Speaks reached out to International partners to replicate and expand on the body of educational based research. It is with pleasure that ISBER is a major project based at PRAC, and has involvement and representation by such key members in the field of autism, education and research. The ISBER project concluded in December 2013. Sarah Dymond, Emma Donaldson, Mary Thomson, and Professor Mark Stokes. The Autism Teaching Institute, the Department of Education and Early Childhood, Deakin University, Amaze, Autism Speaks, and the Practical Research Autism Centre. Victorian primary and secondary school teachers and principals. June 2011 to July 2013. The mission of the PRAC is to improve teaching practice and use of evidence based educational interventions that result in improved outcomes for students with Autism Spectrum Disorder. The work of PRAC is oriented by a theory-to-practice model where research informs practice using measurable standards. 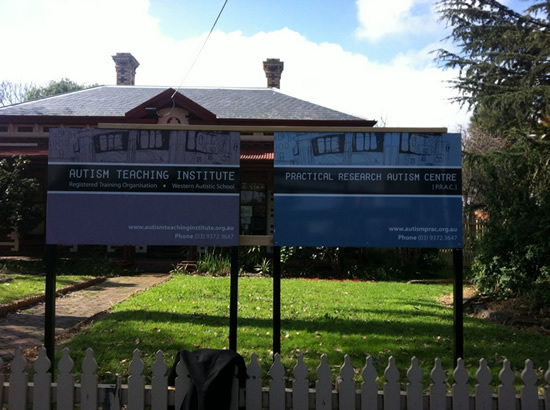 PRAC aims to provide world-class practical research in autism education.